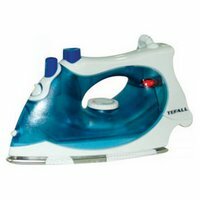 I bought a new iron this afternoon. So when I arrived from school, I ironed away. I like seeing that bundle of clothes shrink to nil. As it was Valentine's Day today, the campus seems more vibrant than usual. People were eating chocolates, roses were being delivered, and love, or image of it, was in the air. Tuesdays and Thursdays are always paradoxical days for me. I have LIN 505 (Bilingualism and Contact Linguistics) from 11:00 to 12:20, and LIN 525 (Typology and Universals) from 3:30 to 4:50. Those are just the two classes that I have. But the thing is, I am so sleepy in 505 yet I am so awake in 525, while 505 is in the morning, and 525 is pretty much at the end of my day. My theory is that this is because of the content. I proud myself to be a data-oriented empirical person. And typology is just full of data. I am just flooded by data from tons of languages, and for most people, that is a boring situation. I don't seem to think so. Bilingualism on the other hand, is so wordy, yet I don't sense any content. It is all talk. That's why I am writing a data-oriented paper on that class, so that at least I get the meaty stuff even though it won't be tackled in class. I guess one must just learn how to get around certain things that might be obstacles.